Designated Broker/ Owner of United Real Estate Southern Arizona, leading, coaching and mentoring outstanding values driven and growth minded real estate agents in the metro Tucson area. Louis enjoys helping clients sell real estate and holds many prestigous designations and has been awarded the highest honors for his character, leadership and sales ability. His valuable experience is includes; residential and investment real estate, real estate development, and property management. 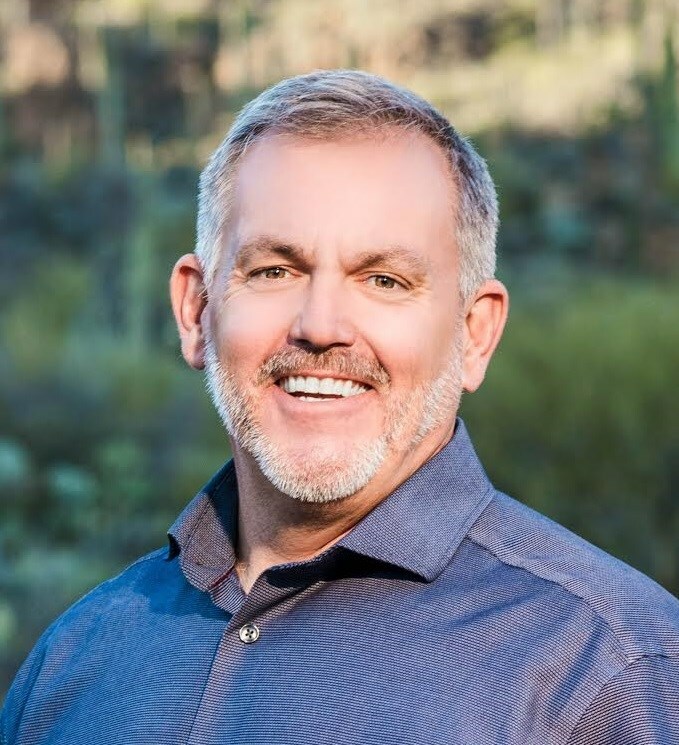 United Real Estate Southern Arizona agents always put their clients first as they help them buy, sell, or invest in real estate in the greater Tucson area including; Oro Valley, Marana, Casas Adobes, Vail, Sahuarita, and the surrounding area. Louis is always seeking both talented Realtors and challenging real estate related projects! "Mr. Parrish went beyond the normal seller-realtor relationship due to my being out of state. He assisted on my behalf contacting contractors and such. For that I am indebted to him. In addition, he had a keen eye on marketing the property in a distressed environment. Thank you Mr. Louis Parrish." "I live in Alaska and Louis helped me purchase a home in Tucson. It was a great experience working with him. He made the long distance transaction less stressful, keeping me informed every step of the way, setting up inspections, and being present for them. I have no plans to every buy another house, however, when the time comes to sell, Louis will be my choice for realtor. Thanks for all you did Louis. " "Louis helped us sell a home and buy a new one. From beginning to end, Louis was available, communicative, reliable, creative, knowledgeable, reasonable, forthright, trustworthy and dedicated. We'd hire him again and you should too. " "Louis listed our house in this slow-recovering market. Before the listing went live he called and asked if he could up the price. He saw a unique situation in the comps. In 3 weeks we had an offer and closed 30 days later. Moving is in the top 3 stress events in life. He was always avail to answer questions and put our fears to rest." "We bought our first home last year and could not have found the deal we did without Louis. He was there every step of the way with a willingness to answer every question and concern I had as a first time buyer. He was available and quick to respond to every call. We had some difficulty with our Lender, but Louis stepped in and really made it known that he had our back and would go to bat for us with everything he had. His support to move the deal through was unwavering at all times. If I had to do it again or if I have friends looking to buy I would definitely recommend Louis for the job. His integrity and work ethic is a model for our society and if you are looking for a realtor, stop now and choose Louis. He will act in a professional and courteous way at all times. You will not be disappointed and you will find the house you are looking for at a price that will work for you! Best wishes on your search." "Prior to Louis, we have attempted to sell our home with no luck. Louis helped us sell our home within a short period of time despite the bad market. Unlike other realtors we have worked with, Louis put in a tremendous amount of time, dedication, and thought. Louis helped alleviate our stress and we knew we were in good hands. He responded promptly to our calls and emails, and we strongly recommend him to anybody who is looking to either buy or sell a home." "Louis was our agent when we put our home on the market during a rough time. We worked together with Louis to present a competitive price. At one point we entertained the thought of renting. Louis helped us with tenant selection and advice, connected us to a management co. to do background checks. Fortunately our home sold! " "Louis Parrish came highly recommended to us and exceeded our expectations! We would recommend him to anyone and will be using him in the future." "My wife and I have worked with Louis since 1999 when we sold our first home for 100% of asking price with no reductions off the original listing price. We later bought a piece of property from Louis after an exhaustive search and sold it with him 3 years later for our full asking price. In 2006 after talking us all around the Northwest searching for townhomes Louis found us our current home. He has continually served our best interest and has surrounded himself with other professionals with the same attention to detail and honesty anyone would respect! Prior to purchasing our current home with Louis we had the home inspector he referred to us do such a great job that it saved us from making a $35,000 mistake. Honesty, Integrity, and putting your interests first is what Louis is all about whether you are buying or selling real estate!" "I have purchased two homes with Louis over the last few years. Louis grew up in Tucson and knows the market very well. He has always been professional, honest, and easy to work with. Our experience was with Louis was great. I would recommend using Louis Parrish. -Mitch Fure"
“Louis Parrish is a hard working Realtor who always listened to our family’s needs and desires. His honesty and integrity are a breath of fresh air in the industry. Successful sells and purchases with Louis and I highly recommend him to all. " "I have practiced law for 30 years, and dealt with numerous real estate professionals. Louis Parrish sets the standard to which all real estate professionals should aspire." "I moved to Tucson in 1999 to be stationed at DMAFB. When I left, I had Louis manage my home for rent for several years before he moved on to his own realtor business. I then sold my home with him this past year (2009). Not only did he go over and beyond with innovative advertisement and attention to detail, but he also made sure the entire process went smoothly through its entirety. Being 900 miles away and with the market the way it is, I was extremely satisfied that our home was sold in a timely fashion at a fair price. We also sold my mother's house with Louis in 2006. My wife flew out to AZ, with newborn at her side, hired several contractors to completely gut and fix up her mom's house in order to sell. During one weekend, Louis showed up with his family and helped her tear out dry wall, fix up the yard, and paint. He had the house under contract within 7 days. I would recommend Louis to anyone! Please contact me for reference on the best agent I have ever worked with."